Happy Halloween! I love Halloween and host a huge house party each year for friends to celebrate. I like to use Halloween as an excuse to "get glam!" 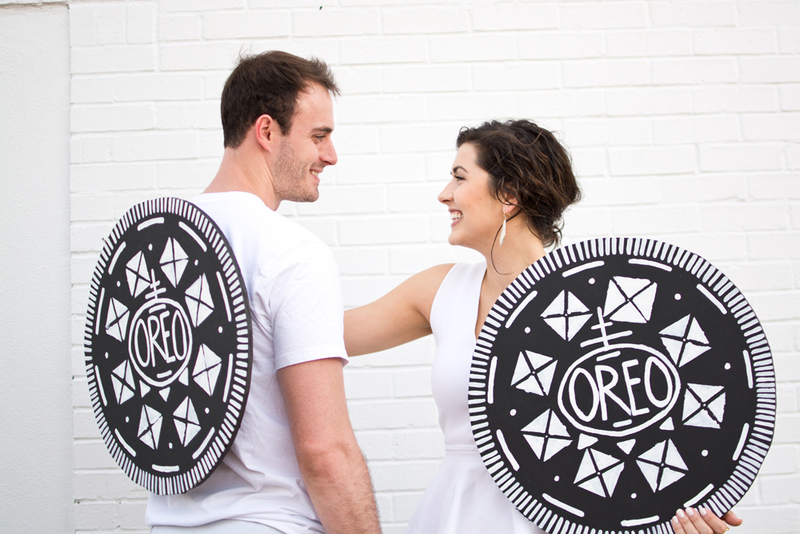 This year I rented a dress from Rent the Runway for my easiest costume ever- a double stuffed Oreo with my boyfriend! Once I decided that I wanted to go for the Oreo costume, I set out to find a white dress... but not just ANY white dress. It had to be just right. Seasonally appropriate, a little whimsical, and able to withstand hours on the dance floor. That's a tough list! I finally found this Parker dress on Rent the Runway and knew right away it was the one! 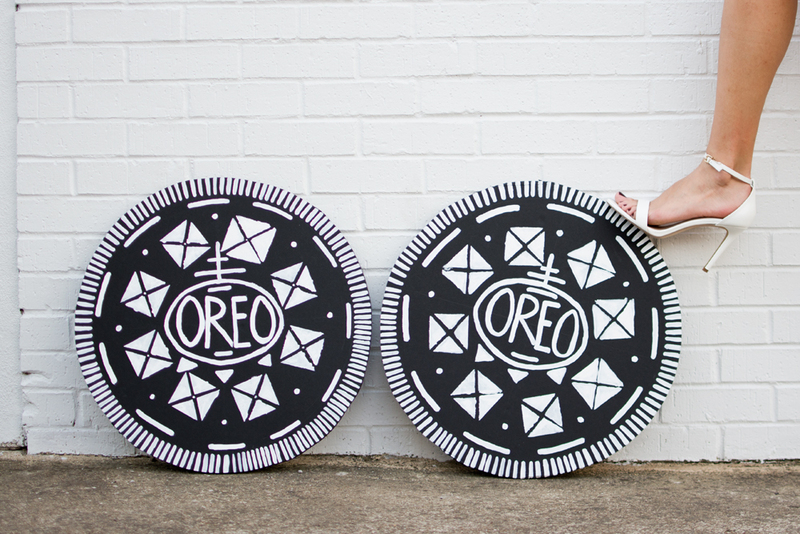 True, it did take a while (about 4 hours) to paint these Oreo shells, but the secret to successfully free-handing this design is to divide the shell into smaller quadrants to paint. First, I traced a circle onto thick black foam core (available at Hobby Lobby), then I used a pencil to divide my circle into fourths. That allowed me to measure things out and paint them to scale. Of course I ate a few Oreos for market research purposes while I painted. They're not perfect, but I was very proud of them! Three cheers for my boyfriend, Stephen, who had no clue what he was getting into when he agreed to a "costume photoshoot." (hip hip hooray!) Actually, I'm not sure he agreed... but he was such a trooper to do the photoshoot and to wear an Oreo all night!